Afro DZ ak is a multi-instrumentalist MC who uses music, hip-hop and spoken-word poetry to promote positive social change. 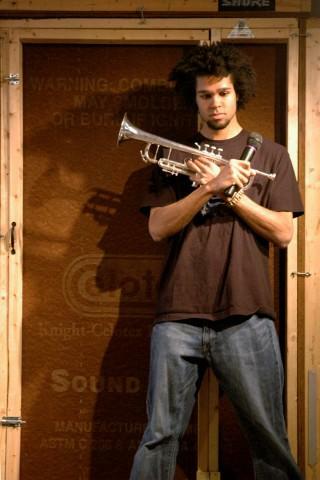 An on-stage triple threat, Afro DZ ak wields a mighty trumpet, plays keys, and rhymes on the mic. His debut solo album Elevation was released through Gnawledge Records in 2008.